At Wiewiora & Dunn Orthodontics, patient care and superior customer service are our top priority. Our family practice houses two experienced orthodontists who travel together between two convenient locations. Dr. Wiewiora enjoys special expertise in Invisalign, the virtually invisible clear aligner, and offers many Invisalign treatment options. It’s not just your smile . . .
We look forward to meeting you at your complimentary consultation to discuss your needs and treatment options. We offer two conveniently located offices in Longwood and Lake Mary, and serve patients of all ages. During a free consultation, our staff will take photos and radiographs for the orthodontist to review in order to identify the best treatment options for specific needs. It is our doctors’ philosophy to avoid extracting teeth whenever possible. We stress the importance of oral health, and before orthodontic treatment can begin, teeth must be clean and healthy. Most of our new patients are referred by satisfied existing and former patients. We believe in being an integral part of our community, and strive to be involved with local charities and school events. 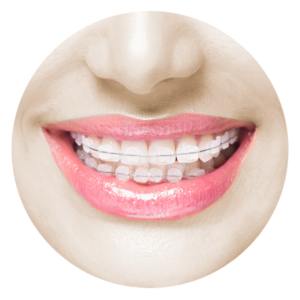 A large number of parents and patients choose to correct bites and straighten teeth with traditional metal braces, another great treatment modality. In fact, our practice is well-equipped to address orthodontic challenges with different styles of braces, including ceramic (clear), gold and traditional metal. We are not just in the business of straightening teeth – we are on a mission to improve lives, the lives of our valued patients, one smile at a time. It would be our pleasure and honor to treat you, because your smile deserves special treatment.